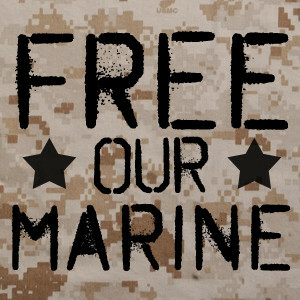 "Tell Congress: Free Our Marine!" U.S. Marine Sergeant Amir Hekmati has been imprisoned by the Iranian government since January 9, 2012. Of the three Americans held hostage by Iran, Hekmati has been behind bars the longest. Special Operations Speaks is calling on the U.S. Congress to force the U.S. State Department to rally for the release of Sergeant Amir Hekmati and bring our Marine home! Though Barack Obama may ignore our imprisoned Marine, we will not. Take action and add your name below to send a no-cost message to your U.S. Representative and Senators, urging them to free our Marine! Elizabeth M. from Lutz, FL signed. Tom E M. from Sonora, TX signed. Obama, bring our citizens HOME from Iran. Emmett J. from Millers Creek, NC signed. Yolanda P. from San Antonio, TX signed. Sure, you'll get that traitor Bergdahl but leave an honorable man behind. We have a bunch of idiots in Congress and the White House!!! William L. from Scottsdale, AZ signed. Bill W. from Charlotte, NC signed. Marines never leave a one of there own behind ON THE BATTLE FIELD, OUR PRESIDENT SHOULD DO NOTHING LESS.